Today’s coffee tastes like tomato soup and peanuts. 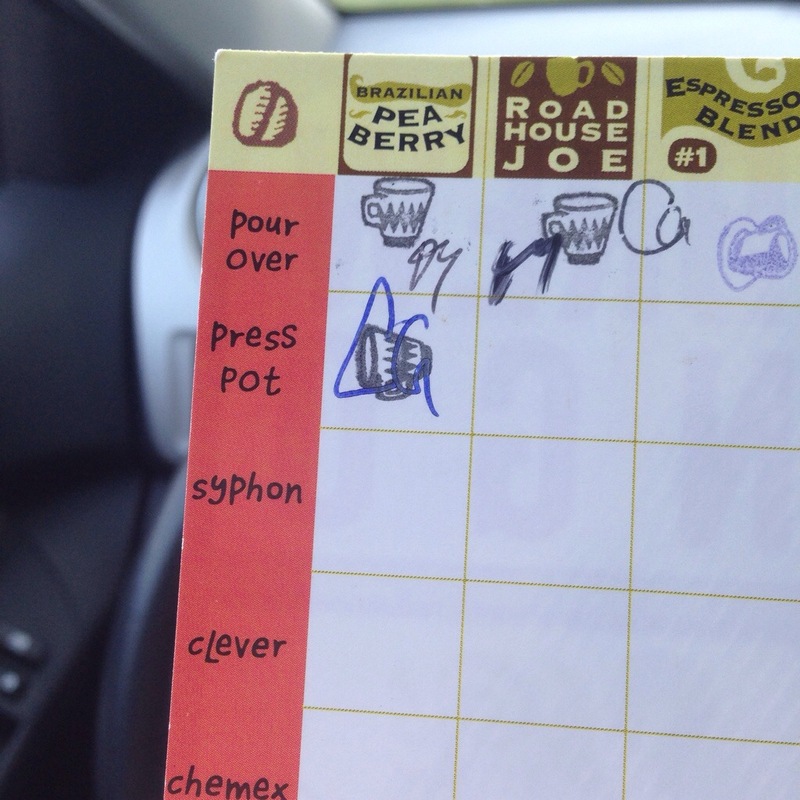 It’s a press pot–brewed Brazilian pea berry coffee from Zingerman’s Coffee Co. Below is where it stands on my Big Brew Bingo sheet to fill out. This is the first of many entries that will describe what today’s coffee tastes like. The neat thing is they will all be pretty different!